We’ve come a long way since the Don’t Ask Don’t Tell policy allowed LGBT people to serve in the military as long as they remained closeted. Thankfully, that policy was repealed in 2011, and LGBT people can serve without having to keep that part of them silent. (Even if Trump’s busy working to keep that from being true for the trans community.) And now, we’re even seeing Pride celebrations in the military! 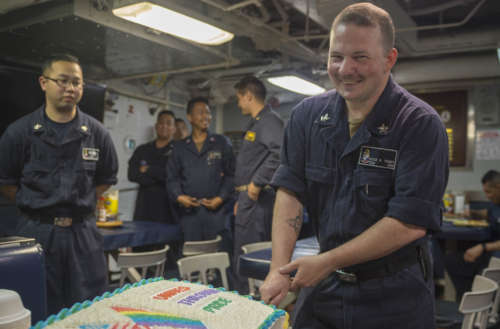 Our favorite example is the Pride cake baked by the Navy’s Culinary Specialist Second Class Kyle Tobey for his shipmates aboard the USS Chancellorsville. Tobey says he baked the cake himself, though the Galley Team helped. 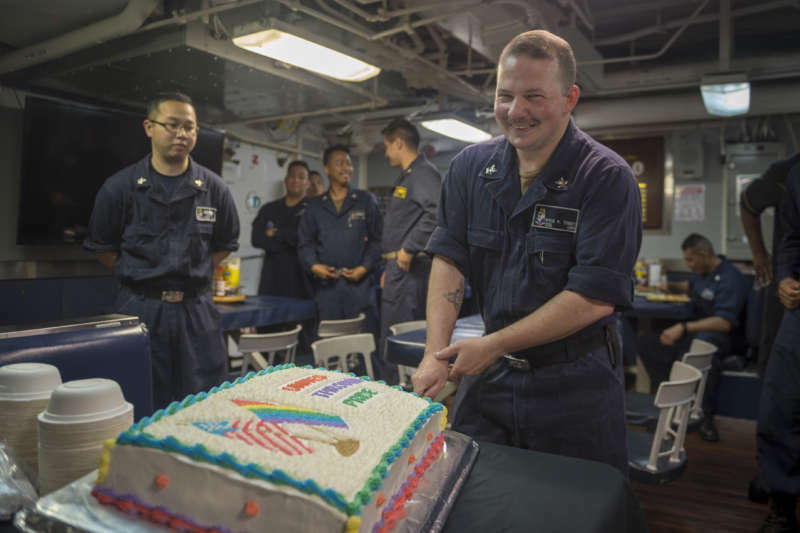 The crew of the USS Chancellorsville turned out to celebrate Pride with him, including the Executive Officer of the ship. 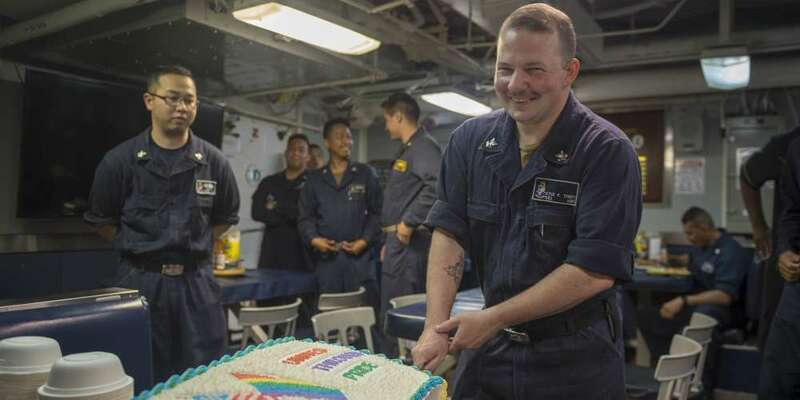 That support isn’t surprising; not only does the cake look absolutely delicious, Tobey says his experiences as a gay sailor have been very positive. Tobey’s story just shows how important it is to let LGBT people from all walks of life to be their true selves. Don’t you want a slice of CS2 Kyle Tobey’s Pride cake?